The iPhone XR offers a discounted experience compared to the expensive iPhone XS and XS Max. However, that lower price tag comes with some caveats, such as "Haptic Touch" in lieu of 3D Touch. If you think these two "touch" features are the same, think again. Before you get an iPhone XR, you'll want to know all the excellent features 3D Touch you might miss. Can you go without them? Haptic Touch seems to be a mostly gimmicky name to make up for the lack of 3D Touch on the iPhone XR. From what we can tell, Haptic Touch is where a long-press on the screen results in haptic feedback meant to make you feel like you've selected an icon. Considering that Apple removed 3D Touch from the device to cut manufacturing costs and to give us the new "Liquid Retina" display, there won't be any real pressure sensitivity associated with Haptic Touch. But what can 3D Touch really do that Haptic Touch can't? Plenty. For many apps on the home screen, especially iOS stock apps, you can use 3D Touch to activate Quick Actions. After applying pressure to an icon, a submenu of useful actions will appear, letting you jump to the task right from the home screen. For example, you can start drawing right away in Notes by selecting "New Sketch" from the Quick Action menu. 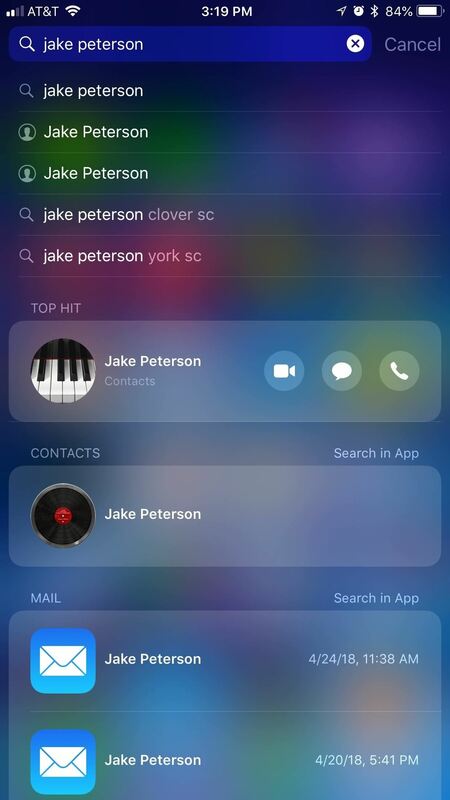 There are other Quick Actions with 3D Touch outside of the home screen, like those available in Search. For example, here you can force-press a contact to reveal an expanded menu of message options, such as Message, Call, Video, Mail, or Pay. If you try this on an iPhone XR, nothing will happen. However, you can long-press the video, message, and phone icons independently to get a few of the same options, but it's slower and doesn't contain everything 3D Touch shows you unless you just tap on the contact altogether to visit his or her page. 3D Touching on an contact in Search. 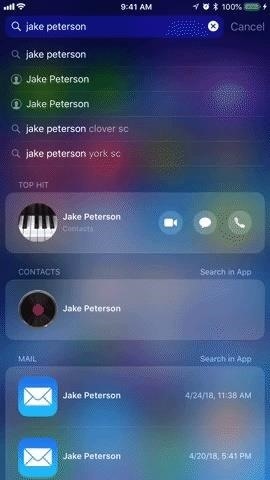 "Peek" and "Pop" are the commonly unused but official way to describe the act of using 3D Touch to preview something and then open it. To make that more clear, peeking allows you to preview content, such as a link, photo, or note, without having to fully open that content. To do so, just lightly press into the display. Popping, on the other hand, is the act of opening content by pushing further into the display after peeking. It's a very intuitive system and gives you a little extra control over your iPhone. Neither of these actions are possible on the iPhone XR. Doing so in Music and Safari (thought this Music use is more like Quick Actions). On the iPhone XR, you'll miss out on peek actions. Peeking acts differently depending on the app in question. While peeking sometimes only shows you a preview of a piece of content, many times it adds a whole layer of actions for you to take. Most additional features can be found by pulling up while peeking to reveal a sort of Quick Action menu, but some apps add support for side-to-side peek actions. 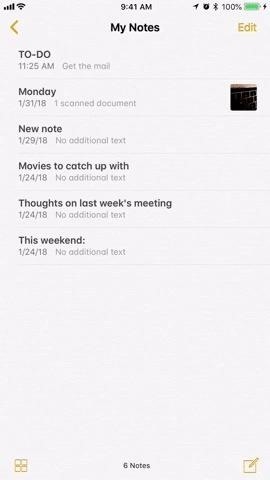 In Notes, for example, peeking gives users the option to pin, lock, share, move, or delete the peeked note. 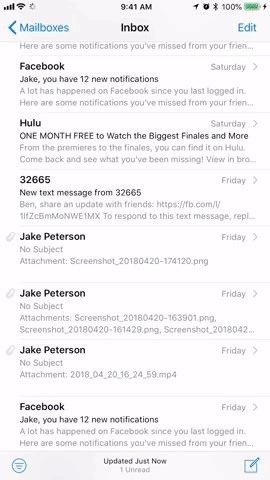 In Mail, you can peek an email and move it side to side to reveal peek options based on your gesture settings, such as the ability to either archive or mark as an email read; You can also pull up while peeking to find an expanded menu of options, just as in Notes. The 3D Touch-activated app switcher has had a rocky history, as iOS 11 notably omitted it from its initial beta. However, the feature is having a similar moment in 2018, as it won't be available on the iPhone XR. 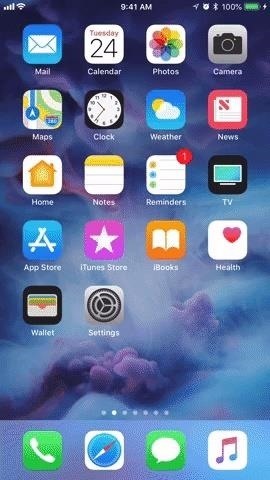 On 3D Touch-enabled iPhones, if you press firmly into the left edge of the display, you'll be greeted by a pop, as well as a sliver of an application window. You could then either complete the pop or pull that window partially over to the right to open the full app switcher. You could also pull the window all the way over to switch to that app entirely. The gestures introduced on the iPhone X effectively replace this feature, so XR fans will easily replicate this feature by swiping. However, if moving from a 3D Touch-enabled iPhone (besides the iPhone X) to the iPhone XR, you might find yourself pressing into the left side of the display, saddened to find nothing happening. 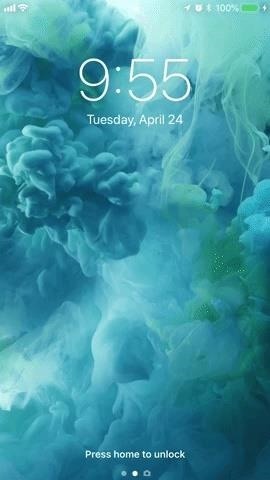 Without 3D Touch, live wallpapers are a thing of the past for the iPhone XR. Look at the iPad, or a 3D Touch-enabled device with the feature disabled — live wallpapers simply don't work in these situations, and that's exactly the same case as on the iPhone XR. This means you can't use Live Photos or GIFs you turned into Live Photos on your lock screen, only Dynamic Wallpapers. But What Can You Still Do Without 3D Touch? While Apple does make some questionable choices now and again, they aren't going to take $749 from users and give them a totally stripped-down experience. There are plenty of 3D Touch features that have found their way to both the iPhone XR, as well as all non-3D Touch iOS devices, but some are more limited here. Introduced on the iPhone X, lock screen shortcuts allow you to access both the flashlight and the camera by firmly pressing their icons in the bottom-left and bottom-right corners, respectively. Without 3D Touch, how does this work on the iPhone XR? Well, simply long-press on either icon to activate its corresponding app! When you do, you'll feel that haptic click, which is then followed by either the flashlight or camera activating. This is in stark contrast to how an iPhone X with 3D Touch disabled acts; In that case, iOS removes these options from the lock screen entirely, rather than allowing the user to long-press them. It seems this feature is one specifically designed for the iPhone XR. 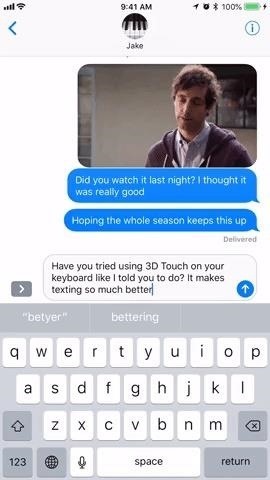 One of the iOS keyboard's best features is its 3D Touch trackpad — press firmly on the keyboard, and it becomes a trackpad for you to move around your text with. You can even press in again to highlight text, bringing an extra level of functionality to typing on mobile. 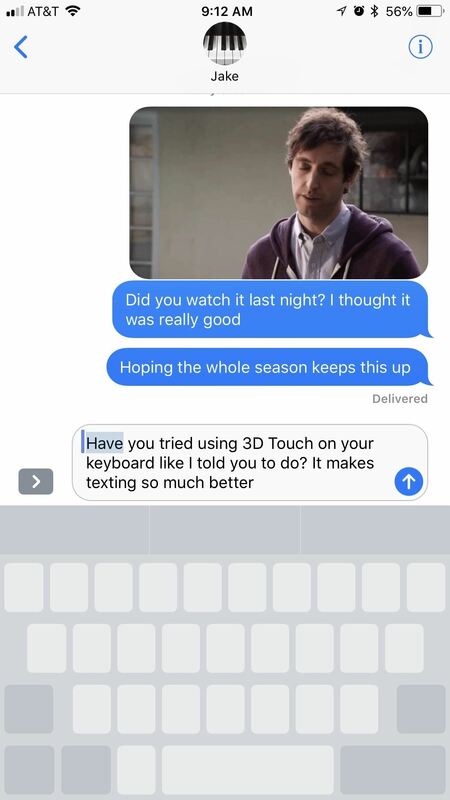 While you won't be able to pop this feature on your XR, you can simply long-press on the keyboard until you feel that click. Your trackpad will then activate, just like it would with 3D Touch. The only difference here is that you can't highlight a word, sentence, paragraph, or your own selection — instead, you have to move the cursor to the point you'd like to highlight, then use another finger to tap on the keyboard, then drag your cursor to highlight your text. 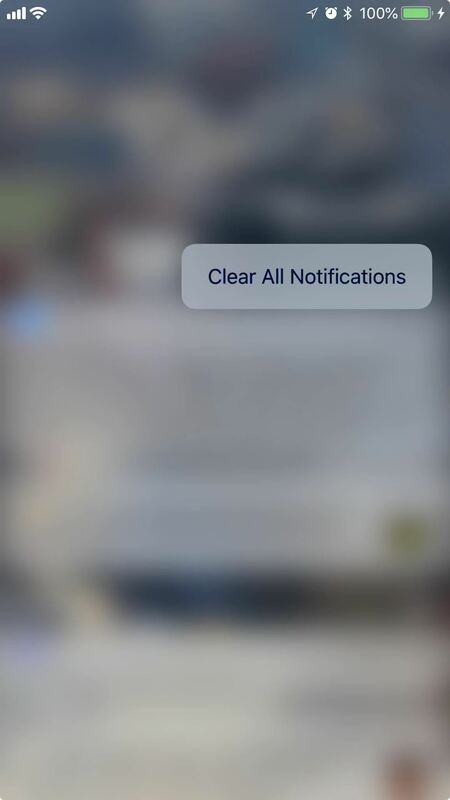 Using 3D Touch on previous iPhone models (and in previous versions of iOS) was always a fun party trick — many iPhone users didn't know that by doing so, they could clear all notifications at once, something that didn't appear possible on the surface of the notification center. Flash forward to iOS 12 and iPhone XR — you can still perform this action via 3D Touch on the proper iPhone, however, long-pressing takes care of the same issue. 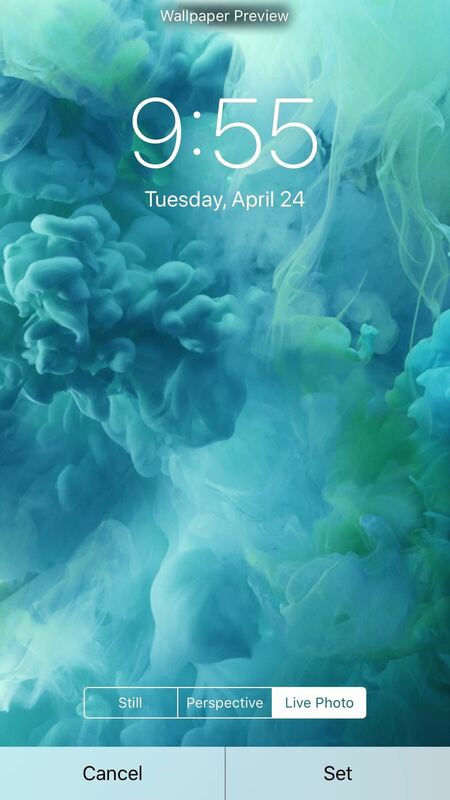 Whether you have an iPhone XR, an iPhone XS, or even an iPhone 5S, you can long-press your way to a clean lock screen. With an iPhone XS, you can quick reply to messages, emails, etc. 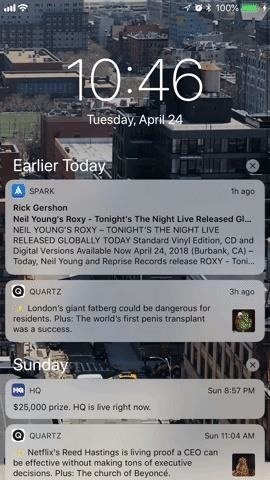 by popping a notification. Don't worry, iPhone XR-ers, you can just as easily quick reply by long-pressing on the notification of your choice. This will let you take advantage of iOS 12's new Tapback functionality with quick reply. Live Photos are here to stay. For those of us who have had 3D Touch-enabled iPhones for as long as Live Photos have existed, we might not be aware that there has always been an option for those iPhones that don't use the feature. 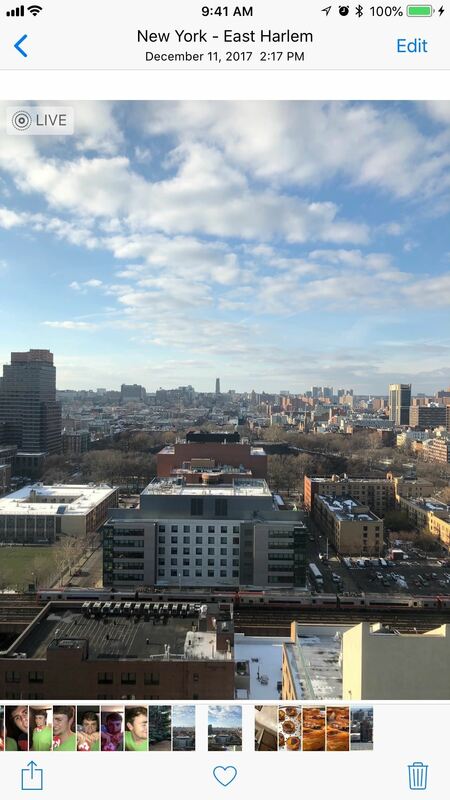 When viewing a Live Photo you or a friend have taken on your iPhone XR, simply long-press it. This will activate the Live Photo, ending any time you lift your finger from the display. Long-press could do some of these things. Seems pretty obvious to me in all the video demos online that you can't use Quick Actions on the home screen because a long-press will just activate the Edit menu to delete and rearrange apps. The other ones I have no idea about, but if you can't use Quick Actions, it's possible you might not be able to do the other things listed here. Why didn't anyone test driving the XR actually do an in depth analysis of Haptic Touch instead of just repeating the specs overall while they fondled it? Neither of Peek and Pop actions are possible on the iPhone XR. I hope that isn't the case, and I don't see why it has to be. Albeit a tad differently, Peek and Pop are available and work on my "haptic touch" MacBook. With an object on my MacBook desktop, for example, if I long press with some force, it will magnify (peek). If I long press until the trackpad clicks, I get the "pop." You can think of these two terms as "preview" and "open," respectively. 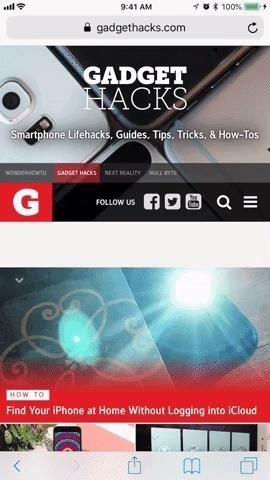 When you peek, you to partially load and view something in iOS, most often a link, by lightly pressing into the display. 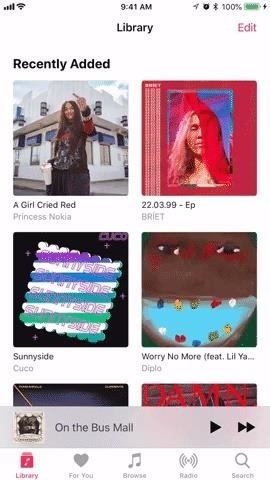 To pop is a bit different, as you push more completely into the display to load that content entirely rather than just previewing it. I suppose I see "pop" as different from opening a document or application: To me, it is more like the "get info" window married the share option (and possibly others). 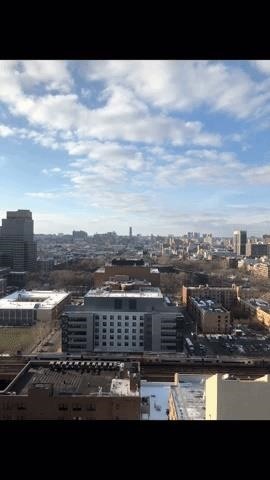 You can open after getting to this view. The swipe left and swipe right gestures, though, do seem like features that might be lost with "haptic touch." Worse, I am worried about not being able to preview "live photos," a feature I would sorely miss. I'm uncertain why a long press couldn't afford a live pictures preview, though. Still, even if the "haptic touch" is just a glorified route to a contextual menu, this article reminded me that is the majority of what I actually use "3D touch" for. I suppose I am thinking/hoping that "haptic touch" is just simpler and loses few of the niceties of "3D Touch."